Selecting the right pet food can be mind boggling, and trying to understand the nutrition label can be even trickier. It can be a tempting topic to avoid but our pet’s diet is an important cornerstone to proper care. 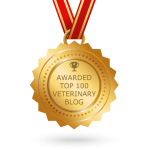 Every pet owner should learn the basics about pet nutrition, what it all means, and what to look for. Avoid the frustration of trying to sort through all of the information yourself and let Oakland Veterinary Referral Services help you focus on the most important things to know. The balance of these nutrients is very important. When nutrient proportions are off balance, it can result in nutrient deficiencies, poor health, or obesity. This balance is somewhat different for every pet depending on species, age, activities, and health status. Poor or inferior nutrition puts pets in danger of many health problems including an increased risk of cancer, orthopedic problems, and cardiovascular issues. Ingredients – This is the list of what the diet actually contains, helping you make decisions about what your pet is ingesting. Guaranteed analysis – Similar to a nutrition label on people food, this list discloses the minimum and maximum percentages of specific nutrients. It is difficult to compare one food to another based on this information alone, though, as moisture contents vary greatly from diet to diet. If you want to make a direct comparison you will need to convert these numbers to a dry matter basis first. The AAFCO statement – This list is issued by the Association of American Feed Control Officials and lets you know that the diet meets certain nutritional requirements. A food can either be formulated based on what should meet these standards, or actually tested and proven to meet the standards by feeding it to closely monitored animals. The AAFCO statement also tells you whether the diet meets the standards for growth, maintenance, pregnancy/nursing, or “all life stages”. Contact information – All pet foods should have contact information for you to reach out to with questions or concerns. A lack of this information should be a red flag. Other claims – Advertising is a powerful tool. Remember that words like “holistic” or “human grade” don’t have a legal definition and really don’t mean much. Also, do your research about additional ingredients such as glucosamine, which may not be present in high enough amounts to be beneficial. Look for the meat – A meat source should be in the first few ingredients, however don’t forget that pet food manufacturers can fairly easily manipulate the ingredients to make meat first. So, a food that lists meat as the second or even third ingredient may be just as good or better. Don’t fear grains – Grain sources should not be feared, since they can be a source of valuable nutrients for most pets. 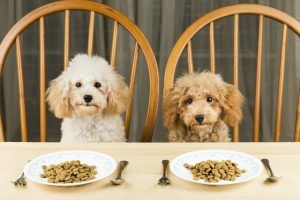 They have been blamed (often unfairly) as a source of pet food allergies and accused of being filler ingredients. Grain-free isn’t always best. Not all by-products are created equal – The word by-product in the ingredient list makes many consumers turn away, but the truth is that by-products are usually a great ingredient. They include things like organ meats and chicken necks (which many by-product snubbers choose to feed to their pets) and can have great nutritional value. AAFCO defines by-products so that things like hooves, hair, hide, and intestinal contents don’t make their way into your pet’s food. There is a lot to know and understand about pet nutrition, however understanding the basics can help any pet owner make better decisions and support their pet’s health. Don’t underestimate the power of a healthy diet, it can make a world of difference. If you need help sorting through the options, ask your veterinarian for specific recommendations for your pet.